Read Chicka Chicka Boom Boom and put up the letter Y on our Alphabet Tree! You can download my small alphabet letters here. Yarn Number Matchup! This game is for counting practice. Simply cut out along the lines so you end up with squares. Have your child put mini-clothes pins, pom-poms or paper clips or the manipulative of your choice onto the card based on the number on it. Yarn Coloring: We color this, paint it, or use markers. I found some that fit my 3 year old well, they’re called Pip-Squeaks Washable Markers, we also use Do-a-Dot Art Markers with this! Yarn Color By Number: We color this, paint it, or use markers. I found some that fit my 3 year old well, they’re called Pip-Squeaks Washable Markers, we also use Do-a-Dot Art Markers with this! Yarn Size Sort: Put these in order small to big or big to small then discuss which is largest, smallest and medium. Y Do-A-Dot Page: We use Do-a-Dot Art Markers with this! Letter Y Scavenger Hunt: Fill the box with things that start with A! Some ideas: yarn, yo-yo, yogurt. Yarn Puzzle: Cut along the guides for a fun 6 piece beginner’s puzzle! Yarn Lacing Card: I make sure to laminate this one for durability, then punch with a hole punch every inch or so for lacing practice. Teach them patterns to do with this as well, like up from the bottom each time, or in-out-in-out sewing. Whatever pattern you can think of. Capital/Lowercase Yy sorting: Simple, just sort out the attached uppercase and lowercase letters. Yarn Graphing: I laminate this and then have them either color in the dots with Expo Dry Erase Markers, or put bingo markers or little valentine heart candies on it. Yarn Color Puzzles: I simply cut out the pieces, then cut them in half in random ways for small color matching puzzles. Yarn Floor Numbers: I made these large floor numbers so that we can play a hopscotch type game. I call out a number and she jumps to it! You could also have them put the cards in numerical order. The number cards go from 1-10. Yarn Cutting Practice: Simple print and let your child try cutting along the lines! Counting Practice: Put a number in the box, then have your child add on the appropriate number of yarn balls. 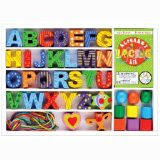 Yarn Numbers Writing Practice: I laminate this then use them with Expo Dry Erase Markers. You can leave the sheets whole, or cut along lines and hole punch upper left corner, then bind with a keyring for a mini-book. Yarn Pattern Activity: Simply cut out the pieces then use the to complete the pattern. Shape Matching Puzzles: Cut the balls of yarn out, then cut down the dashed lines to make shape matching puzzles. Play Balloon Volleyball: A good friend of mine over at 7renfros suggested a fun game called “Balloon volleyball”, its basically a toddler-friendly version of regular volleyball. Kids take turns batting a balloon up in the air, with the goal of trying to keep it off the ground as it floats downward. You can shout out words that start with the letter “Y” each time you hit the balloon! Thanks Melissa, great idea! Family Fun Night: Make Yummy Yogosicles (recipe below)! Have each child measure the following ingredients into a small bowl. Mix well and pour the mixture into a small paper or plastic cup and freeze. When the mixture is solid enough to hold up a popsicle stick, put one in and refreeze until firm. Thanks as always :)I am chuffed to bits as I've had little cat pegs for the longest time, I think I'll team them up with the numbered balls of yarn.By the way, I've never tried this, I must have read it somewhere, you can cover the top of the cups with tin foil, then put a stick in and the foil will hold it up. wow this is a wonderful post, just started following u and your blog is great! K. WADE: I do the memory verses in MS Publisher, but you could just do it in Word. I'd do landscape layout and make a table then put a word in each box. Wow… that alphabet tree is really awesome… I think I'm gonna try to make one! Erica, did you happen to make a letter match/bottle caps page for Yy? I was printing out all of your letter match pages in order and realized when I got to the end that I did not have a Yy page. You have wonderful ideas and I have been sharing them with my colleagues this year. Your blog was the first blog I found this summer while looking for new ideas to incorporate in my classroom. Thanks so much! I’m looking for them too, they are my son’s favorite LOTW activity! I was looking for you Yy letter matching but couldn’t find it. Is there somewhere else I need to go to print it? Love your blog by the way! hello love this site, i was just looking for the letter Y matching.. ? Help! 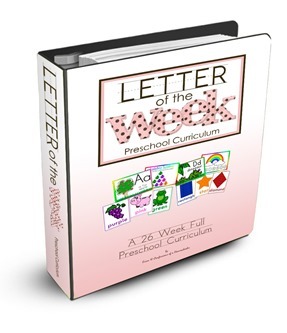 I bought your Preschool letter of the week curriculum eons ago and am trying to print out the magnet pages but can’t find Y and Z and the links from this page no longer work. Can you send them to me please? Thanks a bunch!